While EA has been praising the revitalization of its shooter franchise, the next game in its most prominent real-time strategy franchise has received a release date. 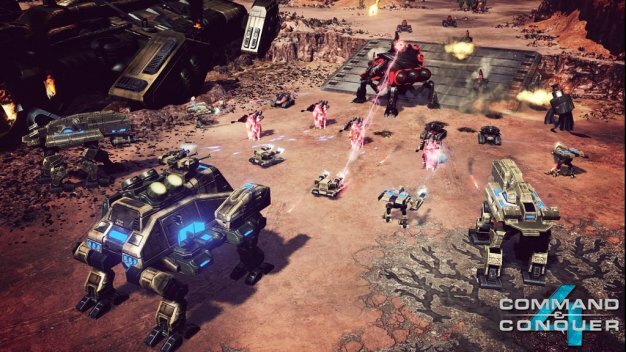 Command & Conquer 4 Tiberian Twilight, the game that will bring an end to the Tiberium storyline, will hit streets on March 16 in North America and Europe on March 19 for the PC. Like many videogames, Tiberian Twilight will come with some benefits for those who pre-order which includes access to one of the beta programs, the official soundtrack and an exclusive mission. Though pre-ordering gives access to a beta, closed beta testing has already begun for GameSpot Total Access members. The beta is said to include testing of the 5v5 multiplayer mode, allowing players to try out new units and the new persistent leveling system. If paying a subscription to test a game doesn’t sound too desirable, GameSpot will allow all members access to a beta coming in early 2010.